Hello everyone, as you know, I’m Kindson The Genius. I would like to share with you these 20 cool Machine Learning and Data Science Concept as well as a brief explanation of each. I assume you are Learning Machine Learning and I would like to encourage you to continue learning and don’t give up, even if it appears a bit tough initially. Just keep moving. At the end your efforts will pay off. I made this article because it is easier to read and understand a concept if you already have an overview of what it is all about. 2. Unsupervised Learning: This is a class of Machine Learning problem where a dataset is provided but no classes are provided. 3. Reinforcement Learning: This is a more recent class of Machine Learning problem developed in 1998 and is concerned with finding the best action to take in a given situation to maximize the expected outcome. One application area is reinforcement learning is in Game Playing where the objective at each point is to take an action that increases the changes of wining. 6. Classification: Classification is a supervised learning task that attempts to classify series of observation into two or more classes. In classification, a dataset is of observation is provided along with the classes. The goal is to create a model using the given dataset that would be used to predict the class of a new observation given without the class. When there are just two classes (say 1 and 0), then it is called binary classification. 10. Principal Components Analysis (PCA): PCA is a statistical technique used to map data from a higher dimensional space to a lower-dimensional space such that the lower dimensional data represents that maximum variance in the original data. In PCA, the principal components are obtain by a process of eigen-decomposition. 11. Singular Value Decomposition(SVD): This is a more recent and powerful method of dimensionality reduction where the original dataset is factorized or decomposed into ‘singular values’. 12. Support Vector Machine(SVM): Support Vector Machine is a tool used for classification. SVM performs classification by determining a line or a plane (hyperplane) that separates the data sets into tow classes such that margin between the classes is maximum. 15. Neuron: This is the basic computing unit of a Neural Network. The neuron represents the edges of the neural network and is used to store pieces of information. 17. 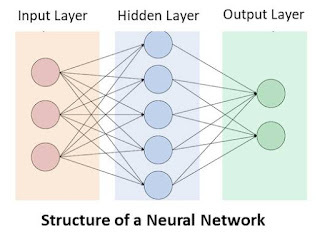 Deep Neural Network: An neural network is referred to as a deep neural network if it is made up of more than on hidden layer. 18. Recurrent Neural Network(RNN): This is a class of neural networks where the edges connecting the node forms a directed graph with traceable sequence. This property makes RNN suitable for modelling temporal behavior. 19. 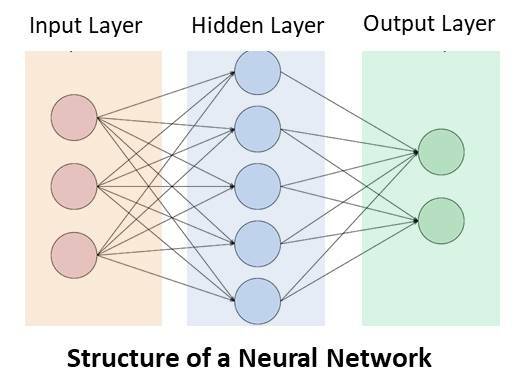 Constitutional Neural Network (CNN): CNN is a class of neural networks that is a bit more complex and are applied in image recognition and analysis. 20. Activation Function: Activation Function are the function that produces the output of a neuron in a neural network. The inputs, the weights and the bias are passed into an activation function. The activation function fires if a threshold is reached.